When Tim Tebow announced that he would play minor league baseball, most people thought he wouldn’t last but a few months and likely viewed it as a publicity stunt to sell tickets and jerseys. He proved his doubters wrong, to an extent, as he excelled in Double-A. He was good enough to get promoted to Triple-A this year, but it has been quite the struggle for him. The former Heisman Trophy winner and current Syracuse Mets player is 3rd from last on the team with a .143 batting average, tied for last with a .185 on-base percentage and 3rd from last with a .214 slugging percentage. 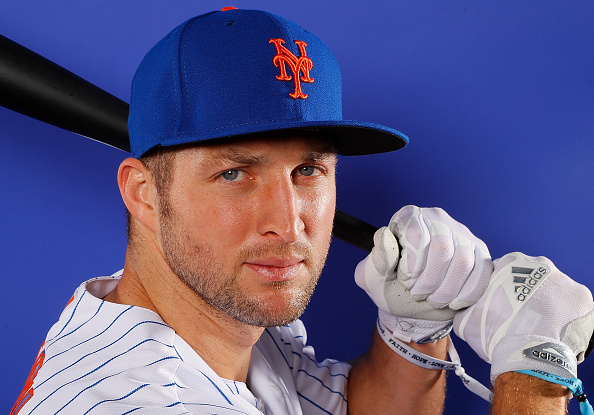 During his minor league career, Tebow has struck out 240 times in 218 games. He has career batting average of .240 with 14 home runs, 92 RBIs, and 67 walks.